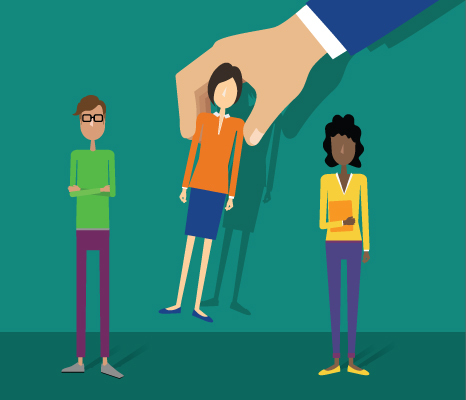 Are the managerial duties still in place for an employee to be exempt, or is it strictly a salary threshold? The only thing that changed with the new rule is the salary threshold when it comes to the exemption tests. The duties tests did not change; so the question about if managerial duties are still in place, yes absolutely, and I assume you’re talking about the executive exemption. Typically this is the one where people would refer to it as “managerial duties.” So, regarding the test for executive exemption, the new part of the test is that employees have to be paid on salaried basis in the amount of at least $913 per week; that’s part of the change. The rest of the test is still in place, which requires the employee’s primary duties to be the management of the employer’s enterprise or a customarily recognized department or subdivision of the business. Next, the employee has to regularly direct the work of two or more employees, and the key here is, it has to be someone managing or supervising at least two or more full-time employees. It could be four part-time employees, but it has to add up to two or more full-time employees. Finally, as part of the test, these employees need to have authority to hire or fire other employees, or their suggestions and recommendations as to hiring or firing and advancement or other changes in employment or employee status have to be given particular weight. This is typically the exemption that works for managers, but all those requirements must apply, not just the salary threshold. Does this new rule apply to company owners if a company is co-owned and one of the owner receives less than the minimum $47,500 salary; does this apply to them? This is the part of the FLSA that has not changed, and has been in place for a while, but there is a special exemption that applies to business owners, and is still in place; and, under this exemption, it’s not about the minimum salary threshold. The test is simply that the individual has to own at least a bonafide 20% equity interest in the business, and the person has to be actively engaged in the management of the business. So, if you can establish those two things, it’s OK that the owner doesn’t receive the new minimum salary; that’s not part of the test. Does this new rule apply to nonprofits? The new rule doesn’t specifically apply or not apply to nonprofits; nothing in the rule mentions nonprofits or exempts nonprofits. We default to the FLSA as it has always been. The FLSA does apply to nonprofits, so this new rule applies as it does to all businesses, enterprises and nonprofits. A couple of things to point out with nonprofits: the regular test for enterprise coverage for any business, which applies to nonprofits as well, is that the business needs to have annual sales or business of at least $500,000, and when you’re talking about nonprofits, when counting the sales or revenue that goes toward this $500,000 threshold, you only have to count the activities that are performed for a business purpose, so it doesn’t apply to nonprofit charitable activities. Activities that are not competitive with other businesses (for example, income that is derived from contributions or membership fees or dues, or donations used for charitable activities) are not counted toward that threshold. It is possible under the general definition of enterprise coverage, that a nonprofit like any other business might not meet that threshold. However, and this is really important, even if a business or a nonprofit doesn’t meet that $500,000 threshold, there’s a separate test for whether your employees are covered by the FLSA requirements. Even if your business as a nonprofit isn’t covered, employees almost always are because, for individual employee coverage, all you have to show is employee involvement in some kind of interstate commerce. Interstate commerce is very broadly defined; it could even mean using credit cards or making phone calls from another state — anything that crosses state lines, like if any goods or materials that are used by the nonprofits come in from other states. If employees conduct any kind of work that involves interstate phone calls or credit cards they’re going to be covered, so in most cases you are going to be covered just because your employees are. Finally, I just wanted to point out, even if you’re a nonprofit and you don’t meet the $500,000 a year threshold, there are certain types of nonprofits that are covered no matter what. The Department of Labor actually listed them out: hospitals, schools and preschools, government agencies, and businesses providing medical or nursing care for residents, are all covered by the FLSA, no matter what. Can employees still be non-exempt salaried? Yes, you can. If your employee doesn’t qualify for an exemption, you can still pay that employee a salary; however, because they are not exempt, they are still covered by the FLSA’s minimum-wage, overtime, and recordkeeping requirements. So you can pay them a fixed salary, but they have to keep records of their hours worked, you have to make sure they’re getting minimum wage for all hours worked, and if they ever do work over 40 hours in a workweek you have to pay them overtime at one and a half times their regular rate. You can prohibit overtime and pay them a salary, and that seems pretty simple, but you still have to pay attention to the recordkeeping. And if they do go over 40 hours, you still have to pay overtime. There is another arrangement that I mentioned in the presentation where you can pay a nonexempt employee a salary, the fluctuating rate overtime plan. If you’re going to pay an employee a salary knowing that they work a lot of overtime, this is an arrangement where you can pay a guaranteed minimum salary every week, and when they work overtime, the overtime is calculated at a reduced overtime rate where you only owe 1/2 time, not 1½ time. There are a lot of complexities around this because you have to guarantee the minimum salary every week, even if they don’t work the full 40 hours. It works for a lot of companies, but I would say to work with an employment attorney if you’re going to try to use the fluctuating-rate overtime plan, because it is a little complicated. What category would commissioned employees fall into: exempt or non-exempt? It depends. When it comes to commissioned employees, the two exemptions that come to mind that would typically apply are the Outside Sales Exemption and the Inside Commissioned Salesperson Exemption. So, I’m going to talk a little about those two. Otherwise, even if someone is commissioned, they still need to meet an exemption test. If they’re commissioned, now under the new rule, up to 10% of the amount needed to reach the salary threshold for the exemptions can come from things like commissions. They still have to meet that salary threshold in which they’re getting a fixed guaranteed salary; it can’t be all about commissions, and they still have to meet a job duties test. But now I’m going talk about the test for Outside Sales and Inside Commissioned Sales, because they’re a little unique. For Outside Sales, this one is really different because it doesn’t require a minimum salary at all. The new “$913 per week” does not apply, but in order to qualify for this exemption the employee has to truly be an outside salesperson, meaning that the majority of the work or primary duty has to be making sales, and it needs to be away from the employer’s place of business, and that doesn’t mean from a home office or fixed office. It means an employee has to be at the client’s business, customarily and regularly; that’s the standard. They have to be engaged away from any fixed office, your office, or their home office. They need to actually be performing their job at your customer’s or client’s places of business. 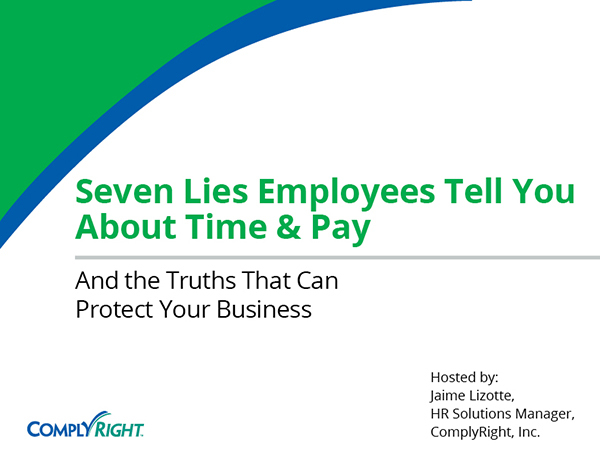 If their primary duties are to be making sales or getting orders or contracts, and they’re also working in the client’s place of business, then they can be considered exempt from overtime, and you don’t have to meet a minimum salary requirement. The other sales exemption that I mentioned is the Inside Commissioned Sales Exemption, and for this one to apply, this is only a partial exemption, it is an overtime exemption, but the employee would still have to keep records; they’re not exempt from recordkeeping. For this to apply the employee has to be employed by a retail establishment as defined by the FLSA, which means 75% of the business’s gross annual dollar volume of sales or services has to be provided to the end user; can’t be for resale. The first requirement is the employee has to be in a retail establishment. The second requirement is that the employee has to receive more than half of his or her total compensation from commissions. So, if they’re only making some commission, but the majority of the pay is either hourly or salary, then this in not going to work, because the pay has to come predominantly from commissions. 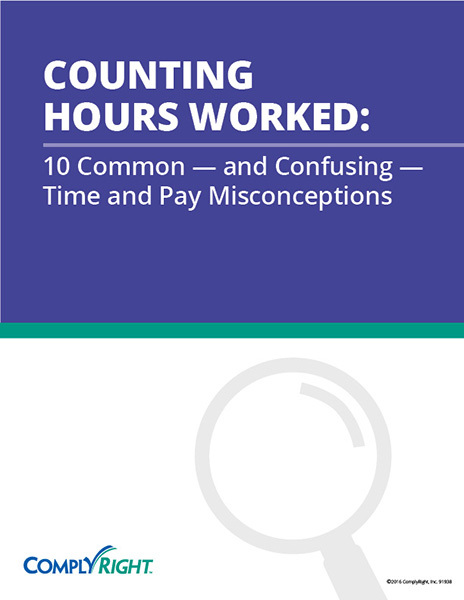 The third requirement is you have to ensure the employee receives at least 1½ times the minimum wage for all hours worked when overtime is worked; so it’s considered a partial exemption. That’s where the recordkeeping comes into play. They’re still required to keep records, because you have to make sure they’re still being paid time-and-a-half for the minimum wage rate for all hours worked if they go over 40. Can someone be hourly exempt, paid per shift hours for total hours a day, but exempt from the labor law? The answer is no, not really. In order to be exempt, there are really three things that apply for all the exemptions: The first is the minimum salary requirement, the new $913 per week. The second is the person has to be paid on a salary basis or a fee basis, and a salary basis means they have to get a guaranteed fixed amount for a period representative of seven consecutive days. They need to have a fixed weekly salary that does not fluctuate. It cannot be reduced based on the quantity or quality of work, so it is not tied to hours in a day or a quantity of work performed. This arrangement, the way the question is worded, “hourly exempt employees paid for their shift hours” means that they’re not being paid on a salary basis so they wouldn’t be meeting that second part of the exemption test. The three elements for an exemption, except for a couple of the exceptions like Outside Sales, are the minimum salary of $913 per week, a salary basis of pay, and the job duties test for the specific exemptions like the executive exemption job duties, administrative exemption job duties, etc. Is the effective date December 1st or the payroll period that includes December 1st? For some the effective date might be in November, correct? The effective date is absolutely December 1st; however, if your payroll period crosses over where December 1st falls in the middle of your payroll period you need to make sure you’re in complete compliance as of December 1st so that might mean you need to go ahead and make these changes before December 1st. If your payroll period covers dates that are before and after December 1st, within the same payroll period, having two different classifications I think would be really complicated. But the point is, it has to be switched over by December 1st, so you would have to do it a little bit early to include in your pay period. If your pay period starts in November then you need to go ahead and do that. What about those making less than $50,000 a year but they’re only required to work less than 40 hours a week? In the case of an employee who doesn’t ever work overtime at all, you still have make sure if they qualify for an exemption or not, because if they don’t qualify for an exemption, even if they don’t work overtime, you’re still required to treat them as a non-exempt employee. The recordkeeping requirement would still apply to them, and minimum wage and overtime, even if they’re not working overtime and you prohibit overtime. If they don’t meet an exemption test (they don’t have the $9.13 per week, or the $47,476 a year) they still would be considered non-exempt. They would need to keep records of all hours worked and, if they ever do work over 40 in a workweek, you would need to pay them time-and-a-half for the overtime. What if an employee makes $60,000 salary a year, and works over 40 hours a week? Are you in compliant? No, not necessarily. Remember, the salary threshold is only one of the three criteria that you have to establish for an exemption. Even if an employee is making $160,000 a year, if they don’t meet the exemption test, a job-duties test, they’re not exempt and they are entitled to overtime. In those cases your overtime premium is going to be really high, because the overtime is based on the salary divided by the hours worked, and that becomes the regular rate. Then, multiply that by time-and-a-half. The higher the pay, the higher the overtime exposure, so it’s really important that everyone understands this isn’t just about that magic number (the new $47,476 a year). Just because they’re paid over that number doesn’t make it OK to pay a salary without overtime. They also have to meet a job-duties test and the full criteria for an exemption test. Can we convert employees who don’t qualify for exempt status to independent contractors instead of making them non-exempt and paying overtime? This is a major danger zone, so be very careful, and work with an employment attorney if you’re considering this at all. It is discouraged and both the IRS and Department of Labor are enforcing and looking at employers who are misclassifying employees as independent contractors. It’s a different kind of misclassification, not what we’ve been talking about today with exempt and non-exempt, but it’s another big danger zone for employers when you misclassify your worker as independent contractors. Under the law you just can’t call anyone you want an independent contractor — there are very strict legal requirements on who qualifies as an independent contractor, and the tests are different under different laws. There’s the IRS test for tax purposes, whether you can call someone an independent contractor or not, and then there is a separate test under FLSA. There are even different tests for discrimination laws, for benefits laws, and state workers’ comp laws. The tests are all a little bit different, but just calling someone an independent contractor, even if you put it in agreement and you issue a 1099, doesn’t make them an independent contractor. The FLSA test is also referred to as an economic-reality test, but the government will look at several factors to determine if the person is truly an independent contractor, and the fact that they were an employee and then converted to an independent contractor would be suspicious. One of the factors that determine if someone is truly an independent contractor for purposes of FLSA is whether the work being performed is an integral part of the employer’s business, and that means part of the production process or part of the service that the employer is in the business to provide. If it was previously an employee, it is likely that it is an integral part of the employer’s business. Another factor is the permanency of the worker’s relationship with the employer. If someone is working for you for an indefinite period or unspecified period like an employee, even though they’re at-will, that is evidence of an employment relationship not independent contractor relationship. Another factor is the employer’s control over the employment relationship. If the business controls how the jobs get done and when the job gets done, as you would do with employees, that is evidence of an employment relationship, not an independent contractor relationship. Independent contractors typically come and go; they just need to get the job done. The business doesn’t control when and how it gets done. It can be really dangerous — there are liabilities for misclassification like owing unemployment taxes, or workers’ comp benefits and health benefits; there are FMLA implications. You can’t get around overtime if they’re considered an employee in the eyes of the law — they are entitled to overtime even though you called them independent contractors. I would say to avoid that. Are we required to send out an employee communication or is it just suggested? Can we just communicate with those few employees who might be affected by this change instead? It is not a requirement for you to send out an employee communication about these changes. It is just a suggestion as a best practice. Really, if you only have a couple employees and it’s sort of an isolated issue where it’s not a lot of people in your business affected, then I wouldn’t suggest sending out a mass communication. The initial employee communication that we talked about is really for companies where you know there is already talk amongst your employees about this - there’s unrest, there’s rumors, people are asking, and they heard about it — or if you have a large company where you know a lot of employees are going to be affected. It’s just a good idea to put that out there as a heads up and to let them know that we are looking into this, and for those directly affected we will follow up with you. You want to let them know this is a federal law (it’s not a company initiative) and that anyone who’s going to be affected in terms of their classification as exempt or non-exempt will be followed up with directly. The only thing that’s mandatory, as I mentioned in the presentation, is that some states do have mandatory notification requirements when you change an employee’s basis of pay (any time you make changes to their compensation, if they’re actually affected by this, if you have to reclassify them as non-exempt, or if you choose to make any changes in payroll or someone’s exempt or non-exempt status). In some states, you do have to notify employees in writing of that, but that’s different from the initial communication about this law change that we were discussing. Federal Court Throws Out FLSA Overtime Rule: What’s Next for Employers?